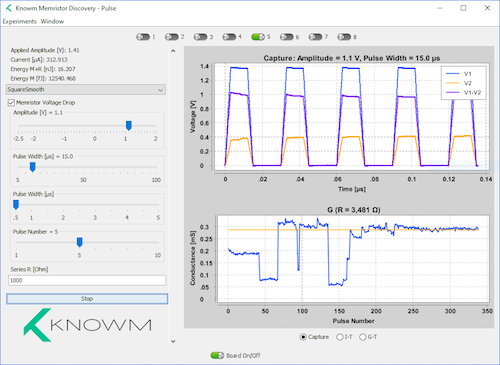 A low-cost solution for exploring memristor behavior including free and open source software for MacOS, Linux and Windows 10 with built-in “experiments” including hysteresis, pulse and DC. 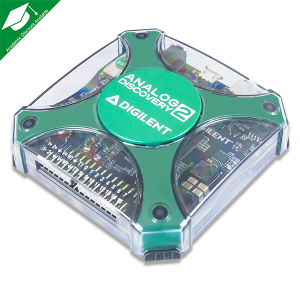 The board plugs into the Digilent Analog Discovery 2 (AD2). Digital IO channels 1-8 activate analog switches that couple memristors to the AD2 waveform generator and two oscilloscope channels. 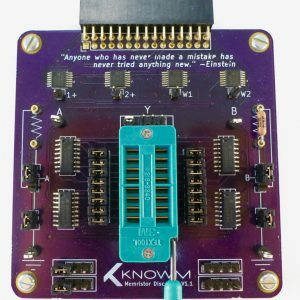 Easy access test-points and sockets allow for convenient coupling of the circuit to additional measurement equipment and bread-boards. Chip picker is included. 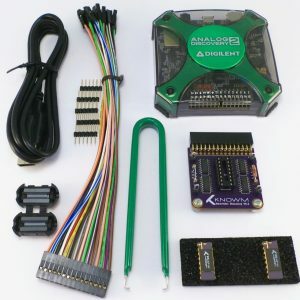 Memristors and Digilent AD2 not included. 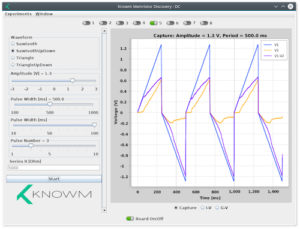 Download the Memristor Discovery User Manual for more information. 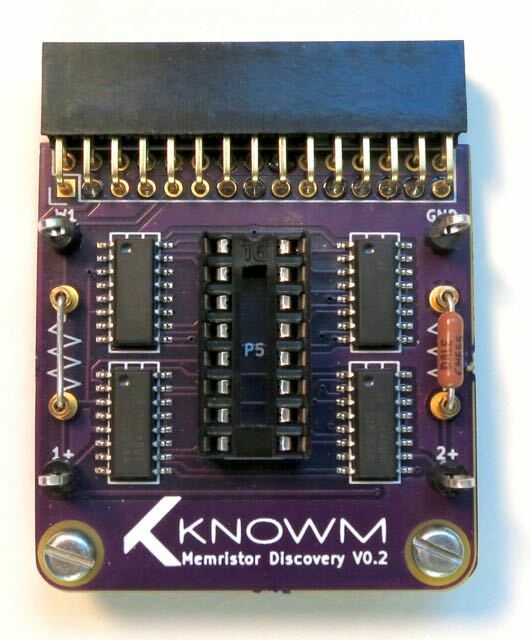 Software for the Memristor Discovery board is open-source and available at https://github.com/knowm/memristor-discovery. Updates are always free of charge. 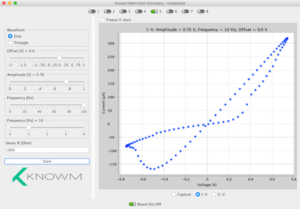 The Memristor Discovery app is a Java application for running memristor experiments of “experiments” on the Memristor Discovery board. It is designed to be cross-platform, meaning it runs on the latest versions of MacOS, Debian-based Linux and Windows 10. 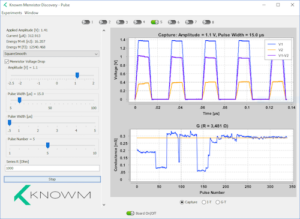 Running Memristor-Discovery requires Java and the Digilent waveforms software to be installed on your system (see previous software link for more details). Analog switches are used to programmatically couple devices to the MD’s waveform generator and oscilloscopes. 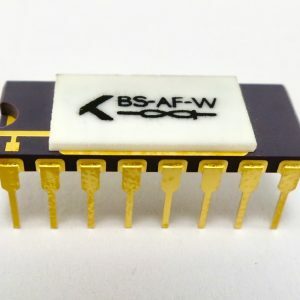 DIP IC extraction tool included.